Well, it seems that within a period of two months I have managed to see Richard II twice, the first was a DVD that I had ordered of the Royal Shakespeare Company production starring David Tennant, and the second one being a production by the Globe Theatre. Actually, I had no idea that the Globe version was going to be showing at one of the local (or not so local as the case may be because it did take an hour and a half, by train, to get from my home to the cinema) cinemas when I watched the DVD a little while back, though as I have mentioned in my previous post (though having a look at the date that it was posted - 5th May - I'd probably be more accurate in suggesting that I watched it quite some time ago), the lack of good plays in Australia means that I am more than willing to make the trek to see another version. Anyway, as a friend of mine, who I ran into as I was leaving the cinema, said: I won't be watching Richard II for a long time now. 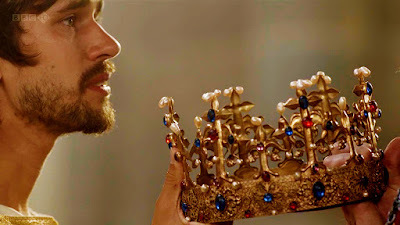 The problem I have though is not that I have already written a post on the play, but that I also have The Age of Kings and The Hollow Crown on DVD ready to watch. Mind you, the Hollow Crown is only the first four plays of the history cycle while the Age of Kings is all of the plays (though it is also in black and white). Unlike Hamlet I felt that I probably wouldn't be able to write anything more on this particular play, however by the time the play had finished I felt that there was enough to justify a second post (especially since I like to write a post on every play that I see). With regards to plot I won't rehash what I have already written back in May, however I will give a brief rundown just so you don't have to jump to another post. The play begins with Richard ascending the throne as a child, but then jumps to the last few years of his reign. Two of the lords have a dispute and Richard decides to arbitrate, however the negotiations break down so they decide to resort to trial by combat. Richard once again intervenes and banishes both of them, one for life and the other for a shorter period. 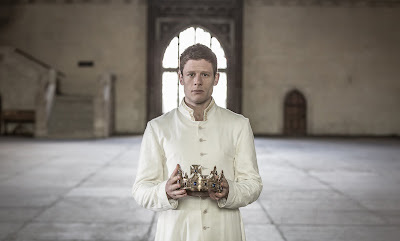 Once that has been settled he heads off to Ireland to fight a war, however when he comes back he discovers that Henry Bollingbrooke, one of the nobles that he exiled, has returned and taken the throne. In fact he discovers that pretty much all of the nobles have thrown their lot in with them. After a lot of misery and soul searching, he is murdered, and upon learning of this Bollingbrooke, now Henry IV, decides that he must go and purge this bloodguilt by a pilgramage to the Holy Land. Watching another production in the cinema makes me wonder what is actually better - the stage or the screen. Okay, considering that for me to see a play at The Globe I have to purchase tickets to London, pay for a hotel, and also pay for the tickets (as well as some other incidentals), jumping on the train and going to the cinema certainly is a lot easier, and cheaper. However there is something magical, a je ne sais quoi (which is actually really bad French, however it is generally used in English to describe something that words can't actually describe), about going to the theatre and watching a production performed live. I guess it is how the Mastercard Ad goes - there are things in life that are priceless, and for everything else there is Mastercad (suggesting that while the experience of watching Les Miserables in London might be priceless, you can at least use your Mastercard to get there). In a way, it is probably quite similar to difference between listening to David Bowie on CD and seeing him live in concert (not that that is possible anymore). However, ignoring the fact that the cinema allows a lot more people to be able to watch something, and it is a good thing that the British are now releasing their plays for the screen - which means that we don't have to travel all the way to London just to see a play, and then discover that the sessions that we wanted to go to have been sold out (if you want to see a play in London it is advisable to book in advance - well in advance - when I went over there to see Les Miserable my cousin suggested that I book in advance, and I managed to get the last ticket on sale, though I left A Midsummer Nights Dream a little too late, and even though I could still see it, it is not on the night that I had set aside to see it - oh well, more time to spend in Brighton). 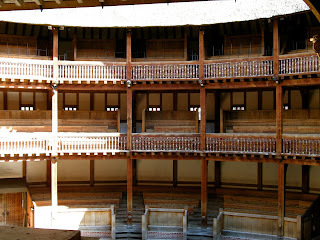 Oh, and not to mention that The Globe happens to be one of the most uncomfortable theatres I have ever been to so I guess I would go for a cinema seat any day. However I've only been talking about the theatre, and the cinematic releases that have began to flow on from the theatre (though this is surprisingly a fairly recent phenomena), I haven't actually spoken about the made for cinema productions. A lot has changed since the old, low budget, BBC productions - these days Shakespeare can actually be a pretty pricey production. However, what the cinema offers that the stage doesn't is a much more realistic setting. On the stage there is still a lot of imagination required (which is another really good aspect of the stage), whereas the only restraints that you have with the cinema is the money you can spend. Mind you, when it comes to the cinema Shakespeare actually isn't a huge money spinner, which is why the productions tend to be hobbies as opposed to major cinematic releases. Another benefit that these productions offer is that I can watch a Shakespeare in my lounge room whenever I want, though you are still limited in what is available. However, with the theatre the production will change based upon who is doing it (though the two productions of Richard II that I saw were actually quite similar). It seems that the dispute between Thomas Mowbray and Henry Bolingbrooke is irreconcilable. Bolingbrooke claims that Mowbray squandered money that had been given to him by Richard on his soldiers, while Mowbray claims that Bolingbrooke is lying and he is only making these accusations to tarnish his name. In fact this dispute pretty much reaches the point where they literally want to rip the other's throat out. The problem is that Richard doesn't want to take sides, nor does he believe that a fight to the death is actually going to reveal who is telling the truth, which is why he intervenes. Mind you, being kicked out of the country by Richard is pretty much suggesting to Bolingbrooke that Richard doesn't believe him. Thus it is not surprising that he eventually returns to take the throne for himself. In calling Mowbray to task he is attempting to bring corruption to the King's presence, but has instead been punished for doing so. Mind you, even though Richard only banishes Bolingbrooke for a short time does little to calm his nerves - obviously the king doesn't want to be seen playing favourites, and as such punishes both of them, though even though he is given a shorter period of exile, he is still being exiled. Watching it does make me think of how disputes tend to evolve. In fact in many cases they evolve to a point where the original foundation of the dispute has literally been forgotten. I have had the unfortunate experience of working in a litigious environment for most of my working life, and in this environment we see how disputes arise. Mind you, the disputes that I have dealt with tend to be minor compared to some areas that I know about - such as family law - when the dispute literally sinks into the parties slinging mud at each other. However, the basis for pretty much most disputes seems to evolve around money - it is interesting how money can cause so many fractured relationships. Then we also have disputes between countries, and in similar cases many of these disputes have begun long in the past and the origins of them are lost in the midsts of history - by now both sides passionately hate each other, but have no idea as to why they actually hate each other - they just do. Mind you, like civil disputes (which tend to involve money) international disputes, especially the ones that have been going on for centuries, tend to involve land, and they are not necessarily border disputes either, such as we have with Northern Ireland and Palestine - both countries were invaded, but, in particular Northern Ireland, people have been living there for so long that the place has literally become their home, and if they were to be forced to leave then there would be nowhere else for them to go. The intermission in this production occurred between scenes III and IV of act III, though I have to admit that I am not an expert on Shakespeare so I generally am unable to tell which act and scene we are in when watching a play (even a play that I am really familiar with, such as Hamlet). 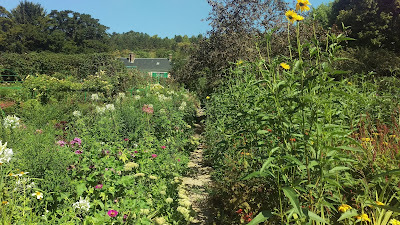 Anyway, when the audience returned (and me a little late as usually, namely because I didn't know how long the intermission was going to be) I was confronted with a scene where the queen is in the garden with her handmaidens and a couple of gardeners. The pivot upon which the intermission rested was between the final fall of King Richard and the ascension of King Henry. Okay, Henry hadn't ascended the throne yet, but it was clear, at least from Richard's eyes (and that of his allies) that everything was hopeless - all of his allies had joined Henry and he is only left with a handful of supporters - which ironically includes the church. Mind you, in those days the church had an awful lot of power, however it is clear that this power was waining, particularly since Henry ignores the Archbishop's objection to him taking the throne, even with Richard abdicating. 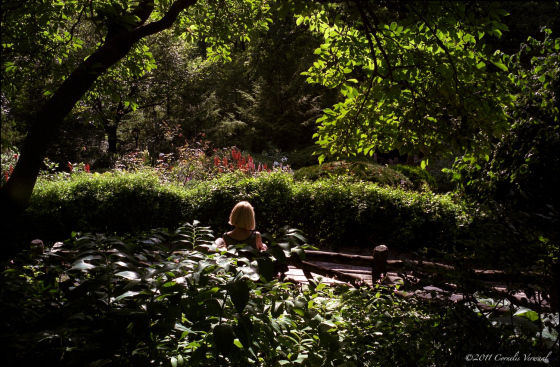 However there was one line in this particular scene that stood out, and that is the reference to the garden being full of weeds. This is a perception only, but it shows how one's perception can differ from another's. In the eyes of the queen (even though it is the gardener that makes this comment), her world has collapsed, and the the once beautiful kingdom, and palace, in which she lived, was now racked by chaos. Mind you, that doesn't necessarily mean that the kingdom has descended into chaos - it hadn't - it is just that the queen's world has descended into chaos. The weeds refer to the king's enemy, and the garden is no doubt his kingdom. Weeds have a nasty ability to take over a garden without you realising what has actually happened. This is the case with King Richard - while he was in the kingdom he was able to remove the weeds from the garden, but as soon as he had left, there was nobody left to remove the weeds - at least nobody he could trust. It is like a gardener who spends his days constructing a beautiful garden, but leaves the care of the garden into the hands of a couple of untrustworthy apprentices. 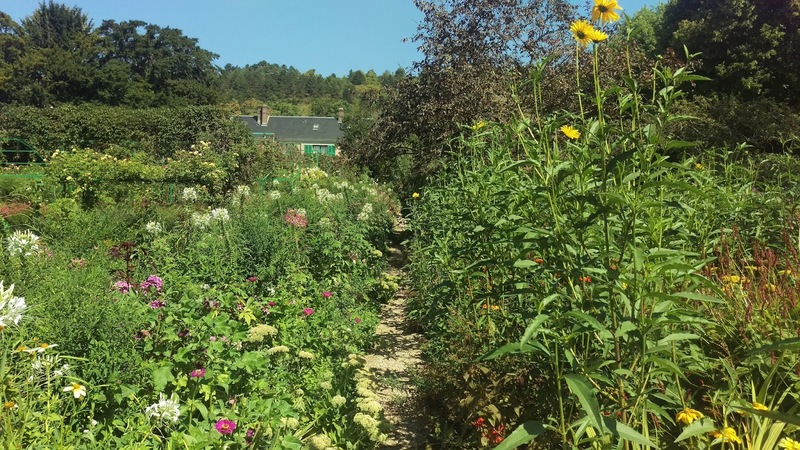 Without proper care, a beautiful garden will be destroyed, and once the weeds have taken over it can be very difficult removing them and restoring the garden to its former glory. 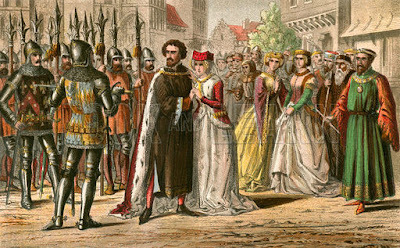 Act IV, Scene I is the scene where the crown passes from Richard to Henry, however there is a huge reluctance in Richard to do so. In fact we see Richard torn between not wanting to let go of his authority, yet wanting to get rid of it as quick as possible because of the weight and heaviness that it bares upon his soul. In a way he has discovered the true burden of kingship, and the mistakes that he had made by not choosing sides in the initial dispute between Bollingbrooke and Mowbray. 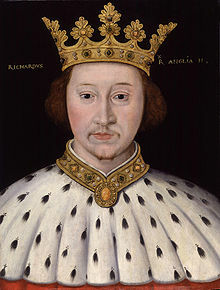 In a way Richard left for Ireland too quickly and didn't remain in the kingdom to make sure that Henry wasn't going to make a move for the throne. Basically Richard didn't make sure that his flanks were secure. 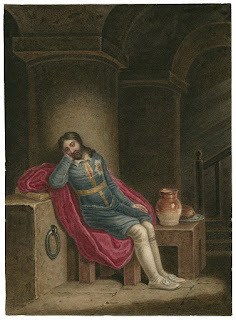 Throughout the play, at least from when he discovers that Henry has launched a successful coup, there is the constant turmoil in the kings heart - he doesn't want to let go of the crown for this is all he has known, yet the burden of the crown is so heavy that he cannot wait to get rid of it. However, a part of this reluctance is that he doesn't want to willingly give it to Henry, yet Henry doesn't necessarily want to take it from him by force. Mind you, defacto authority already rests in Henry, namely because all of the powers that be have flocked to his standard - any resistance is small and is easily crushed. It seems that Richard has a choice between stepping down to a humble life, and to a life in prison (or even death). 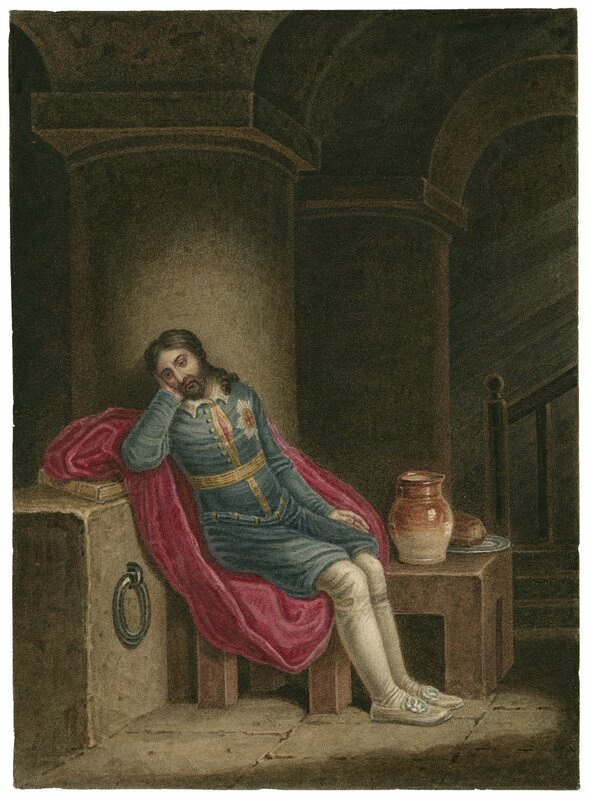 He ends up landing up in prison, or at least imprisoned in his castle (which was a common fate for deposed kings, or at least political enemies that the ruler really wasn't able to kill for fear of turning them into a martyr). The thing is that nobody actually wants to give up a position of authority - having a position of authority gives one status amongst their peers, and to lose that position means to lose that status. In fact being stripped of a position of authority can be an incredibly humbling experience, yet people don't like being humbled - instead they see it as a form of shame. When one is stripped of their position it can be very difficult for them to face their peers again. Henry returns to England as soon as Richard leaves, which is clear that Richard really doesn't have a huge amount of authority, particularly since he loses his kingdom as soon as he leaves his kingdom. A strong king is able to maintain his throne even though he is absent from it - as was the case with Henry V, who went and fought wars in France, yet was able to return to his throne (though it is noteworthy that he executes all his enemies prior to leaving for France). The thing that struck me was that nature of England at this time. It wasn't just the situation where England ended at the Channel - England has huge territories in France. Mind you, exiled kings and lords would regularly flee to France to plot their return to England, however Edward III had conquered huge swathes of territories during his wars on the continent. Mind you, the continent wasn't necessarily as secure as the home counties, meaning that an exiled lord could easily raise an army in the French territories. However, a successful invasion of England, as is demonstrated with Henry VI, and William III, is to have the support of the nobility in the home counties. With support from the nobility a sitting king has little ability to retain his title - in fact James II was deposed without a drop of blood being spilt (though that is a little bit of an exasperation). 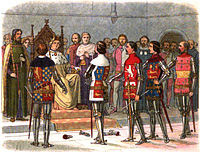 In many ways the political nature of the kingdom at the time was quite similar to the modern party political structure of the day - a prime minister only holds authority when they have the confidence not only of their party, but a majority of parliament - as soon as they lose that confidence they lose their position. Henry is depicted as the stronger monarch - he is always in armour, or at least he is until he ascends the throne, and when he does he still dresses in black. Richard, on the other hand, is always dressed in white. It seems as if these two colours portrays their character - black represents strength while white represents weakness. Mind you, in those days there was little place for a weak king, particularly one who could not control their subjects, especially the nobility. Without the support of the nobility, the King's hold on the throne is tenuous indeed. However, even though Henry took the throne by force, it seems that he does not believe that he has the right to kill Richard. Sure, he is the king, yet he seems to believe that while he has taken the throne through the confidence of his nobility, he can't actually kill Richard. Sure, he may have said, as is repeated by Exton: 'Have I no friend will rid me of this living fear? ', yet he seems to say this as an afterthought, and not actually meaning anybody should go through with it. As such, when Exton does perform the deed, not only is Exton banished for his crime, but the King, who didn't think what he said would have any consequences, believes that he must now cleanse himself of a crime against God - it is fine to take the throne with the confidence of the nobility, but to kill a king, even a deposed king, is a crime against heaven. I've read this one, but never seen it live or on screen. Perhaps in the future, someone will do it within a reasonable driving distance. I think it to be one of the underrated histories. Thankyou. 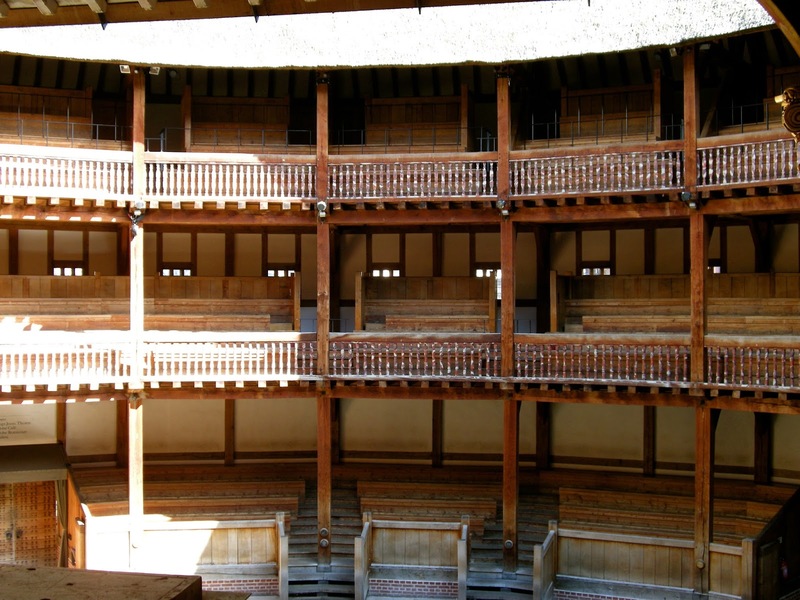 You might want to check out the RSC homepage - they have a list of their onscreen productions and where they are playing.